Pissed of watching the same theme again and again? 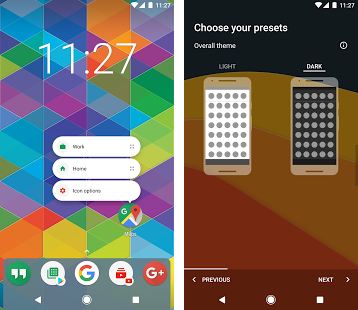 Get your Smartphone theme updated with Nova Launcher -highly customized well performed and a great replacement for your home screen. Nova launcher is one of the best replacement for your home screen it comes high graphics feature quality that makes you forget your own home screen. Nova launcher can be well-customized change icons, animations, layout, themes, gestures etc multiple functions regarding the outlook of your android device. Nova launcher allows you to adjust filters, widgets, alert sounds, wallpapers and app icons. The theme can be customized and changed if you want something updated according to time to time. 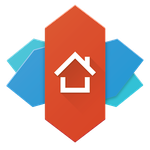 Nova launcher happens to be the best launcher for the modern android /ios devices that empowers fully customized of the home screen with high-quality gesture and graphics that make nova launcher different from many other slow graphics launcher. 1. It allows you to access on the home screen of your choice with desktop settings you can access to the grid, icon layout, width paddling, icon paddling with customized search bars designed by you. 2. You can access to scroll effects page indicators with some advanced settings like show shadow etc. 3. Allows you to access app and widget drawers set your own widgets with icon layout background images and effects you can also add various other animations to scroll. 4. Make folders according to the app category. 5. You can also access, look and feel features that allows you to feel the sensation of the launcher with different vibrations when you click on different folders or applications. 6. Allow easy access to the night mode feature that is very useful if you use your android device in midnight or dim lighting. You can make different shortcuts if you want more compatibility in nova launcher. 7. You can create a backup of the data and import settings from one launcher to another launcher. 8. Nova launcher offers you the paid version. Nova launcher prime to unlock all the extra advanced features like high graphics gestures, hide app, icon swipe features etc. 9. Nova launcher happens to be the best home screen launcher application with no drawbacks like system hanging, making device slow greatly customized and a very nice user interface. Nova launcher app is available on different platforms including Google play store. We provide best in class apks for better customer experience as compared to any other websites. It will take around space varying according to size. Downloading and installation will take several minutes so be patient. The basic home screen will appear then customize it according to your taste.